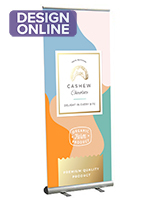 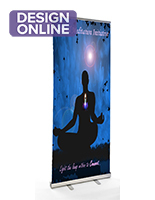 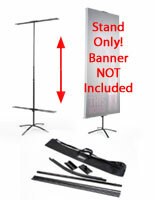 More Material & Banner Size Options Available! 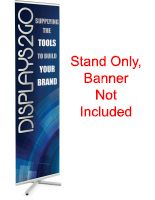 More Banner Size & Color Options Available! 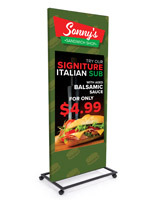 More Banner Size & Graphics Connector Options Available! 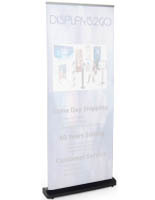 Many church administrations are choosing to embellish their places of worship using church banner stands to display large format graphics to the congregation. 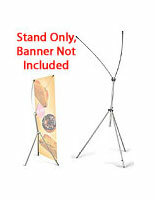 These stands hold banners either outside on the church grounds, alongside pews in the nave, or flanking the lectern in the sanctuary. 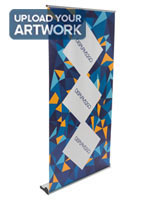 The religious banner holders secure flags displaying the name of the church, scripture passages, or promoting Church activities such as bible studies or charity suppers. 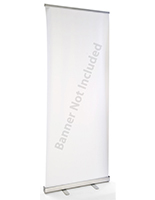 While previously, churches had primarily used banners for processions or celebrations, in recent years they have been adopted as permanent or long term fixtures. 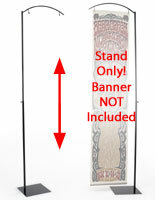 These church banners can range in size, and it is important to determine the size of the church flag you will be displaying before making your choice. 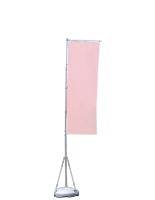 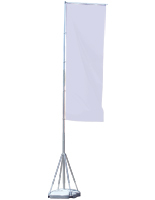 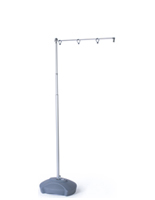 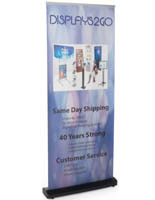 Choose a banner stand that's engineered for outdoor use, and can sustain up to 60mph winds for a permanent outdoor fixture. 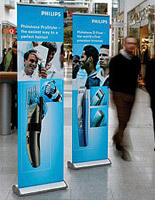 The Liverpool Metropolitan Cathedral famously uses banners alongside its front steps to foster a 21st century appearance. 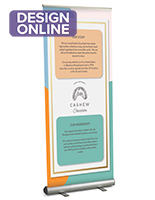 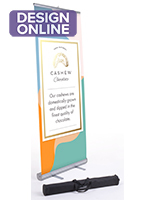 Browse retractable custom graphic banners for inside the church, and pick a stand that allows you to easily move the stand about the church, perhaps from the nave to the transept. 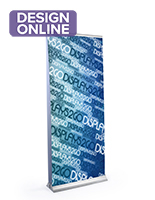 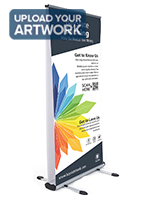 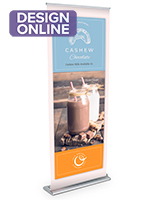 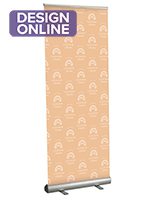 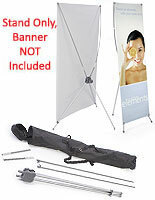 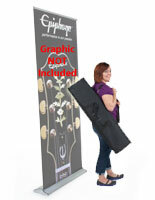 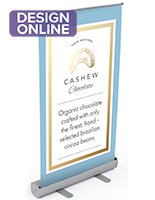 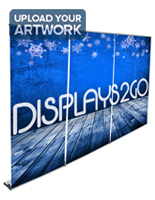 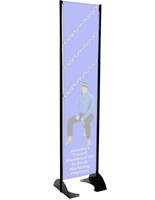 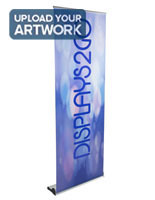 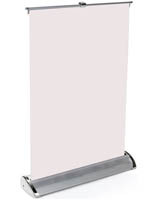 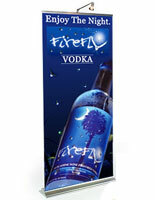 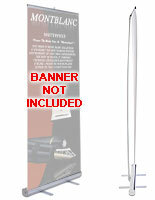 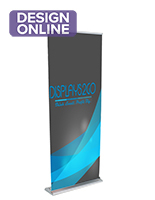 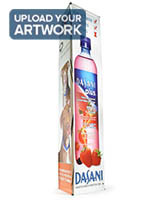 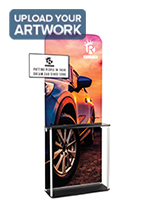 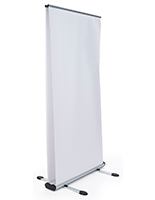 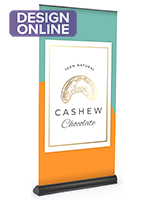 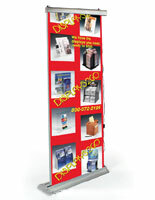 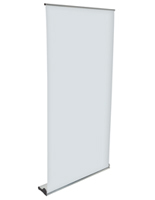 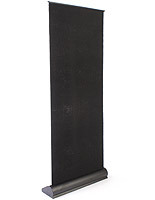 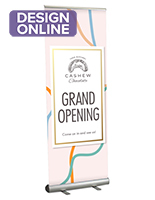 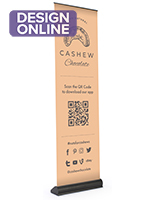 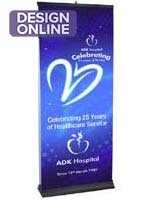 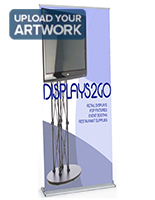 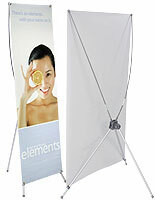 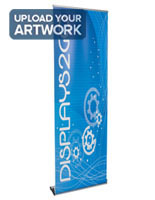 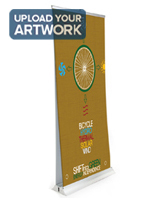 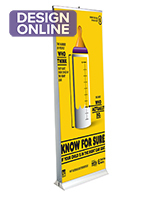 Displays2go sells banner stands that include a custom printed graphic church banner, printed on vinyl. 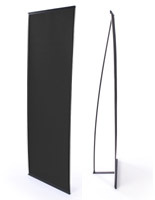 The fade-resistant vibrant colors and sharp detail will impress your congregation for years to come!